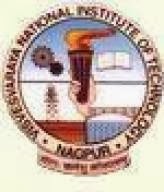 Visvesvaraya National Institute of Technology (VNIT) has released a notification as VNIT Nagpur Recruitment 2014 for filling up the full-time Project Assistant jobs. Eligible and interested candidates who want to apply for this recruitment they can Send your fully filled applications to VNIT Nagpur. Qualification :Those job seekers who want to apply for VNIT Nagpur recruitment they must have an M.Sc. in Physics not less than 60% with consistently good academic record. Last Date : 15thJanuary 2013. How to Apply :The applications (Bio-data) may be submitted to the following address by Post / e-mail.